Our student organizations act as leadership development vehicles for our students. Undertaking large and small projects alike, these student-run clubs impact the local business community and add a rich experience to each member’s education. From producing job fairs for thousands to organizing special events for hundreds, our students contribute countless hours working as volunteers for their career enrichment. 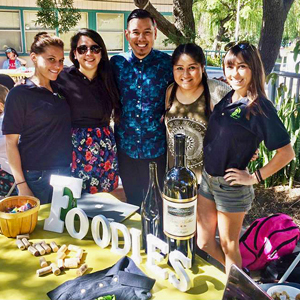 Foodies promotes the universal love for food and beverage, restaurants, and the hospitality industry. It provides the opportunity to broaden culinary experience and create a link between students and industry professionals through field trips, tasting events, and volunteer opportunities. 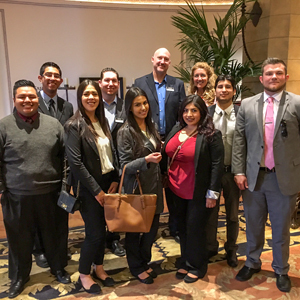 LMSA provides a platform for hospitality students to become acquainted with the professional lodging industry through national trips, networking opportunities, behind- the-scenes tours, community outreach, and social events. MESA offers opportunities for students to get involved with the industry on a more personal level. 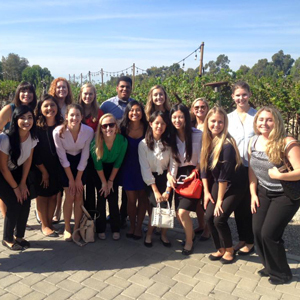 By networking with industry leaders, as well as attending and volunteering at top hospitality events, students build their resume with hands-on planning experience. 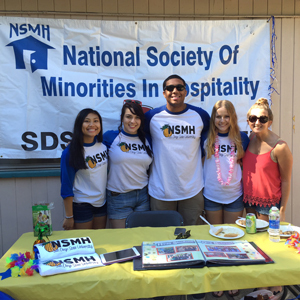 NSMH promotes and ensures minority success in the fields of hospitality. 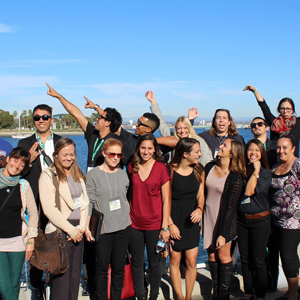 Through this nationally run student organization, members develop professional skills through workshops, trips to conferences, field trips, networking events, and volunteer opportunities. RTSA provides students with opportunities for professional growth both on campus and in the local community in the recreation and tourism industry. Job fairs, networking events, and volunteer opportunities open the door to giving back and growing. TGSA is a recognized student led association devoted to raising awareness of and support for tribal government gaming as an economic engine driving Native America out of poverty while reviving American Indian Culture. 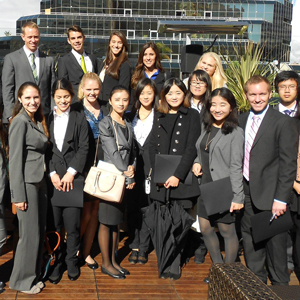 TGSA hosts fundraising events, trips to various conferences, and trips to casinos to study the structure and differences in various regions.